ELCD is increasingly reaching out to migrants in Denmark. The photo is from an intercultural service in Aalborg. Photo: Christian Roar Pedersen. Membership of the Evangelical-Lutheran Church in Denmark (ELCD) is declining. Statistics Denmark, the central authority on Danish statistics, has published a survey that shows that membership amounts to 75.3% of the country’s population. This tendency can partly be explained by immigration. The numbers indicate that only 3% of non-Western immigrants and descendants are church members. Among Western immigrants the number is 15.9% and among Western descendants membership amounts to 24.5%. But 85.6% of persons with Danish backgrounds remain members. ELCD has not been sufficiently aware of this new situation. If the church wants to hold on to its traditional role as a church for the whole nation it must make an active and targeted effort to present itself to the new population groups, in particular immigrants and their descendants. Therefore, the Christian Migrant Network has now been established. The idea behind this initiative is that the network can function as a resource to the work of local congregations among immigrants and their descendants. 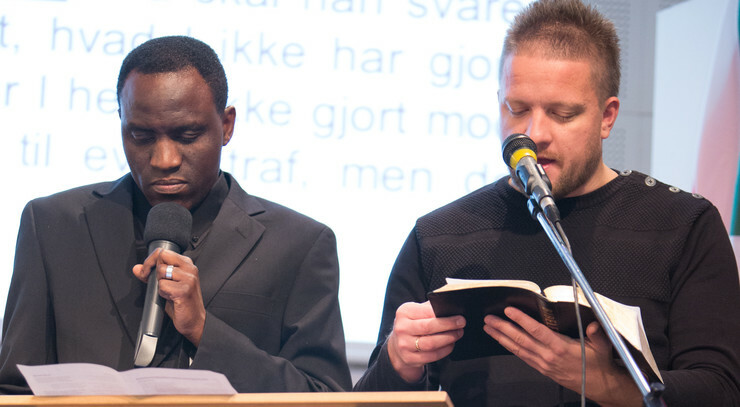 The Christian Migrant Network aims to engage immigrants and their descendants who make up 13% of the Danish population. This includes e.g. international students, Eastern European migrant workers, and highly educated employees who are Green Card holders. Maybe there is a need for materials in other languages, guidance on how to offer translation during the church service or help with reaching out to immigrants in the parish. The Christian Migrant Network can contribute with knowledge, inspiration, materials and consultancy. The network will play a part in developing initiatives that create more contact between church and migrants on a general level. The network is also organized bottom-up and is based on the different parishes and deaneries in the church. ”Soon we will contact local parishes throughout the country and direct their attention to the specific demography in their local area. If this is a field of work they are interested in, we can offer help and guidance,” says Søren Dalsgaard, coordinator of The Christian Migrant Network. The Christian Migrant Network is a continuation of the Christian Refugee Network and is placed organizationally under the Council on International Relations of the Evangelical Lutheran Church in Denmark.